I’ve just come home from a week on the road talking pawpaws and promoting my new book Pawpaw: In Search of America’s Forgotten Fruit. The trip took me to Bland, Virginia; Jacksonville, Florida; Atlanta, Georgia; Knoxville, Tennessee; and Beckley, West Virginia. In Jacksonville, Florida, I was hosted by my friends at Urban Folk Farm, and welcomed by members of Permaculture Jacksonville. I met wonderful people doing interesting things related to organic and sustainable agriculture, food access, food education, and modern homesteading. It was a privilege to speak about pawpaws, which, in this corner of Northeast Florida, are quite rare. One of the attendees shared a story about a man harvesting several pounds of pawpaws from a wild patch growing along a river near Gainesville, Florida. Now, according to the USDA–and according to my research and own experiences–Asimina triloba is unlikely to be found this far south. But maybe the USDA missed this patch. Unfortunately, the story ends here. So if any of you readers has information on the mysterious Gainesville/Alachua County patch, do get in touch! The next morning I took a hike around the perimeter of Urban Folk Farm (which borders a conservation easement), hopeful that I might find one of the endemic Asimina species growing in the woods. And my naive optimism was rewarded! Just beyond the barbed wire was a pair of Asimina shrubs, pictured below. 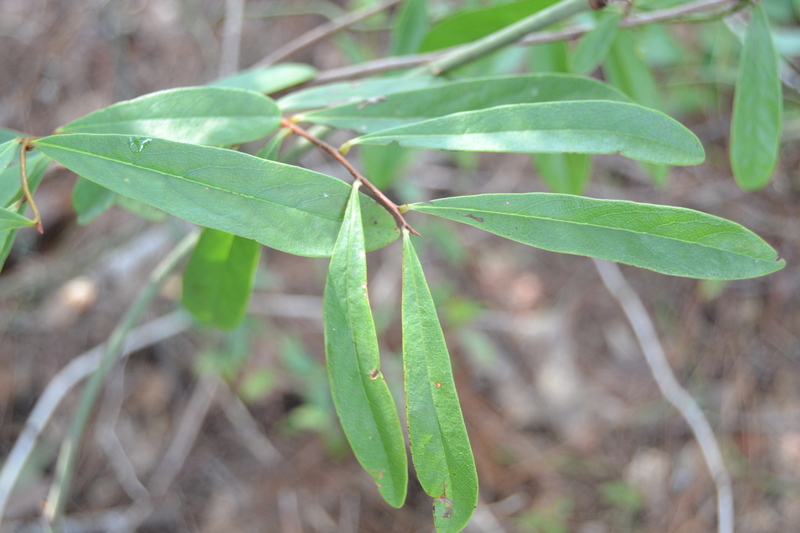 An endemic Asimina species in NE Florida (or is it a False Pawpaw? If any readers can identify this species, let me know). Asimina triloba with vigorous growth far south of its native range. Asimina triloba in Polk County, Florida. Let’s call Polk County the Asimina, or even Annonaceae, crossroads. 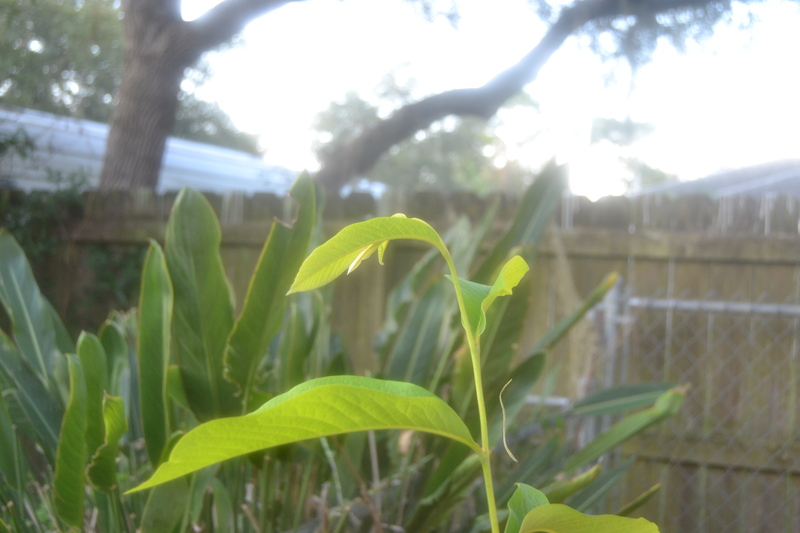 Pictured below is a seedling cherimoya, a native to tropical South America, growing in a container. This will either need to be carted into the green house, or covered with cloth, during one of the county’s rarer frosty evenings. In Atlanta, I was welcomed by not only the friendly folks of Trees Atlanta, but also my first ripe pawpaw of the season. For those of you acquainted with pawpaws, you know this aroma. And for those of you who are on the far end of the obsession spectrum, you know this was an exciting moment. The talk in Atlanta was actually a panel discussion, hosted by Robby Astrove, a fruit tree-naturalist-forager-education specialist-multi-talented all-around good guy (www.fruitforwardorchards.com). Also on the panel was NAFEX member Robert Hamilton, known in Atlanta as “the fruit man” due to his extensive knowledge of unusual fruit trees–both horticulturally and culinarily; and Cindy Mayer, a coordinator for the Backyard Wildlife Sanctuary Certification program at The Atlanta Audubon Society. The pawpaw, not only of value to us humans, is food for several mammals, and is the only larval host of the zebra swallowtail butterfly. It was an honor to be included in this dynamic, engaging panel. After the discussion, we pawpaw people gathered in the parking lot to split the single ripe pawpaw about a half dozen ways. It was savored, and delicious. In Knoxville, Tennessee, I visited a good friend, hiked around one of the city’s historic neighborhoods, and visited the recently relocated Three Rivers Market, Knoxville’s community food co-op. 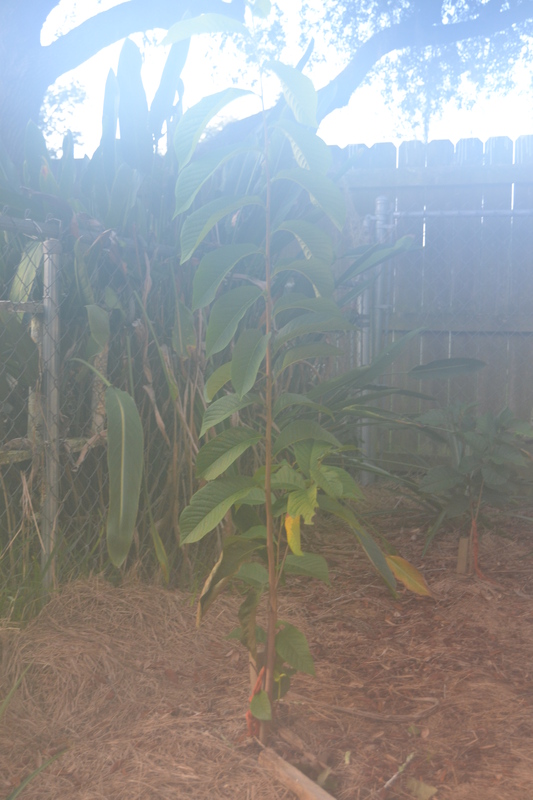 Perhaps pawpaws will soon be on the shelves here. After all, it was here in Knoxville, at the annual Biscuit Festival, that a pawpaw pecan biscuit, with a whiskey sorghum caramel topping, was a runner-up for the people’s choice award. Downtown, I spoke with a bookseller who remembered eating pawpaws on his grandfather’s East Tennessee farm. Such anecdotes are a reminder that this neglected fruit has a rich history–and a living story–all over this country. 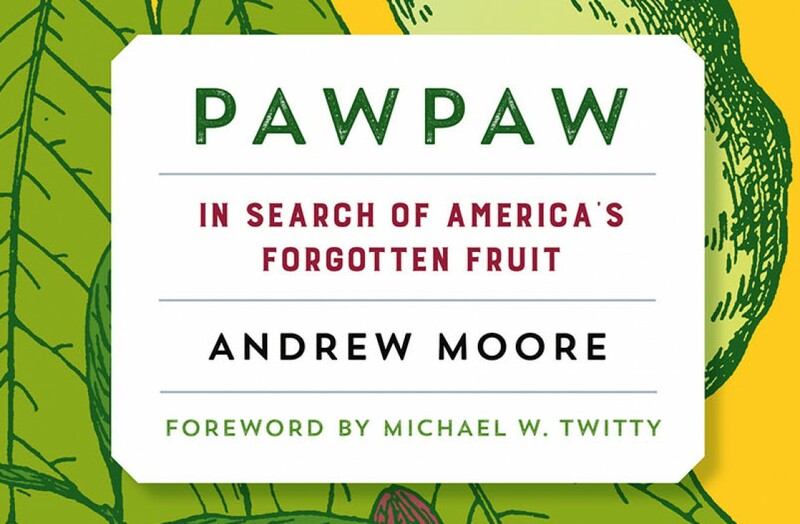 Click here to purchase Pawpaw: In Search of America’s Forgotten Fruit. Pawpaw Tasting Event! Get your tickets! Thursday, September 19th, taste the largest, edible fruit native to the United Sates: pawpaw! 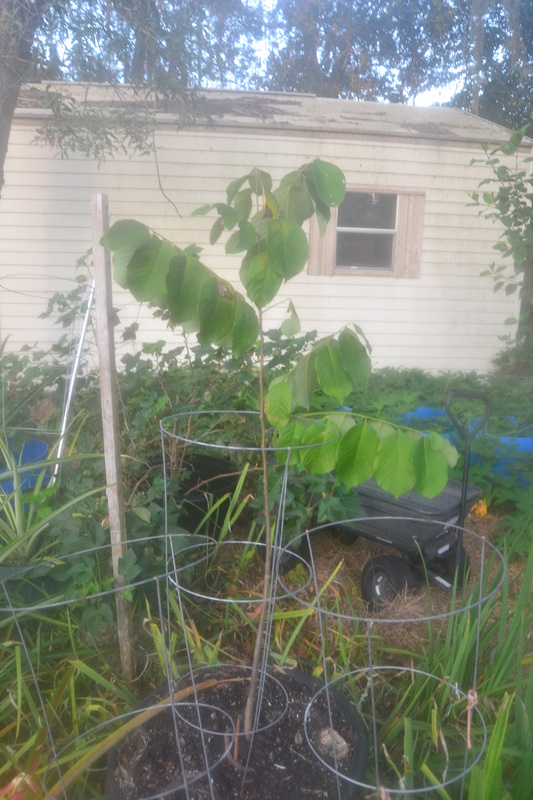 There will be lots of fresh pawpaw fruit, pawpaw ice-cream, pawpaw-filled cupcakes, pawpaw seeds for the taking, and a raffle for two, two-year-old pawpaw trees. $40. Limited to 15 guests. The event is a fundraiser for my travels on the pawpaw trail, hunting wild fruit, and collecting the stories of pawpaw growers and eaters across the Eastern U.S.